City of Richmond Mayor Dwight C. Jones has recently been named '2013 Richmonder of the Year' by Style Weekly. Click here to view the full article. After nearly two years of offering free and greatly reduced cost shuttle services to local grocers, the City has decided to suspend the RVA Shoppers’ Shuttle after this Saturday’s service due to operational costs. As a result, December will be the final month of the shuttle’s operations. The shuttle has experienced a steady decline in ridership, which has increased the cost per user beyond a fiscally responsible scenario for the City to continue the service. The RVA Shoppers’ Shuttle was started as a pilot project in February 2012 as a transportation support system that is focused on areas within the City of Richmond that are deemed as food deserts – areas without easy access to healthy, nutritional, fresh food. The targeted areas also have a high concentration of poverty and large populations without personal transportation. The City is dedicated to helping City residents’ access healthy foods, and will continue to explore more cost effective initiatives that can aid in making healthy foods more readily available to residents of food deserts throughout the city. Many organizations and businesses share the City’s desire of not only making healthy food available to those living in food deserts, but also ensuring residents have the knowledge to properly prepare fresh healthy foods. These dedicated community organizations are also busy with many other projects including a produce prescription program, healthy cooking education, opening additional community gardens, and much more. Together with the area partner organizations and many other like entities, the City continues to make strides in addressing food deserts and ensuring that residents have access to a healthy, sustainable and affordable food supply. Mayor Dwight C. Jones today unveiled Revitalize RVA, a plan for economic development in Shockoe Bottom, slavery and freedom heritage, and baseball. 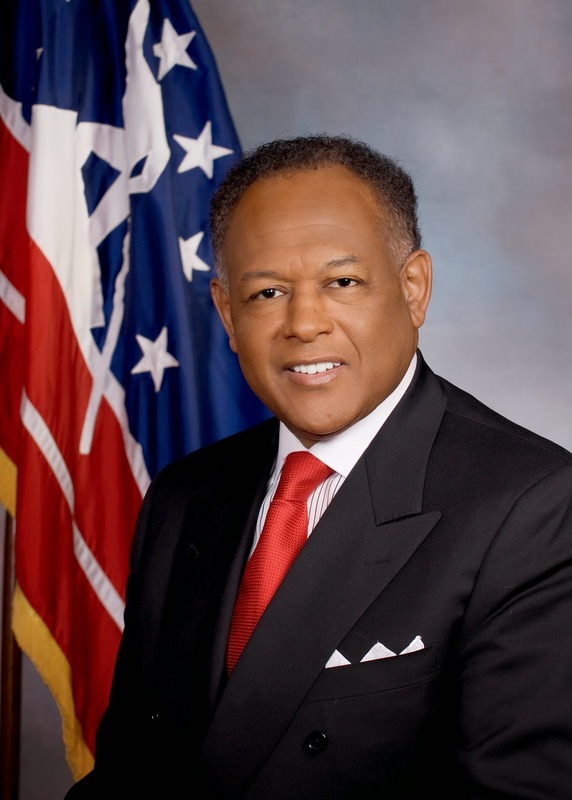 Citing the city’s 26% poverty rate, Mayor Jones indicated that all decisions are being made through the lens of economic development, creating jobs and expanding the city’s tax base. Revitalize RVA includes a new baseball stadium, a slavery and freedom heritage site, and brings retail, residential, hotel space, office space and parking to the area. The overwhelming majority of the improvements will be privately financed. The Shockoe Ballpark will contain 7,200 seats, mostly in a sunken bowl. The ballpark will be flanked by apartment buildings, a 360 degree concourse, and dramatic architecture, including a flying roof. • 750 new apartment units, 200 of which are connected to the Ballpark and 550 of which are immediately across Broad Street. • A full service, full size (65,000 square feet) Kroger Grocery Store. • A 200 room Hyatt Hotel. Altogether, the projects, plus the Ballpark, are projected to generate a total of over $200 million in investment; 400 permanent jobs, and 1,000 construction jobs. Mayor Jones expressed his personal commitment to ensuring that investment in the Slavery and Freedom heritage site is a central part of the development plan. Noting the work of Delegate Delores McQuinn and University of Richmond President Ed Ayers, the Mayor shared the concept for a dramatic, interactive memorial designed to bring visitors and tourist to explore the history and heritage that can be found in Shockoe. He also announced that Steve Gannon, Capital One, has agreed to lead a community effort to raise at least $30 million to pay for the development of the Slavery and Freedom Heritage Site. A Steering Committee is expected to be named in the coming weeks to advance the plans for the site. “I am presenting Revitalize RVA only because I know that with this plan we can properly honor the history of the Shockoe area and utilize the opportunity to establish a site that can teach people about a unique chapter of American history that has not been fully told. “My job as Mayor is to move Richmond forward, and not leave anyone behind. By developing Shockoe in an innovative and historically sensitive way, we will be able to unlock the potential of two of the most valuable pieces of land on the East Coast. This is good news for the city and ties directly into our efforts to help mitigate poverty by providing jobs and opportunity,” Jones concluded. The city will be planning a series of public input sessions and a schedule of those meetings is expected to be announced in the coming days. Quote from Senator Tim Kaine: “I applaud Mayor Jones and all involved for thinking big. This plan will create a wonderful new Richmond ballpark, reclaim and display our powerful history to educate residents and visitors alike and accelerate economic opportunity in the heart of downtown. “I was involved with political, civic and business leaders in the early days of the Richmond BioTech Park and redevelopment of the Canal district in the mid 1990's. It's been gratifying to see these projects improve our city. I am convinced that the Shockoe Plan can be every bit as powerful in building a great future for Richmond. “As a longtime Northsider, I'll miss being able to walk to baseball games at The Diamond. But I have no doubt that my neighbors will work with the city to find great new uses for the Diamond site, uses that will complement the vibrant activity underway in the Boulevard/Scott's Addition area. Let's not let this opportunity pass us by." The Virginia Capital Trail Foundation (VCTF) and the City of Richmond jointly announced today the opening of the Virginia Capital Trail western trailhead at Great Shiplock Park. The ceremony also highlighted the revitalizations of Chapel Island, to include the addition of a non-motorized boat launch, a half-mile trail, and significantly-enhanced access to the 5.6 acres of riverfront parkland. Newly-added interpretative signage highlights the island’s history as the site of the Trigg Shipbuilding Company in 1898, as well as the island’s role in the ecology of the tidal James River. The Richmond Regional Planning District Commission obtained a $50,000 grant from the Virginia Coastal Zone Management Program through NOAA’s National Coastal Zone Management Program. Under the direction of James River Park System Manager Nathan Burrell, the City of Richmond matched the grant with over 1,200 hours of labor generously provided by volunteers from Friends of the James River Parks, the James River Hikers, the James River Outdoor Coalition, and various corporate partners through Hands on Greater Richmond. The improvements to Chapel Island will benefit nature lovers, fishermen, history aficionados, kayakers and canoeists. “The Chapel Island project is another step towards implementing the City of Richmond’s Riverfront Plan,” said Nathan Burrell. The VCTF raised over $550,000 from private sources to re-landscape, add shade structures, lighting, benches, bike racks and signage to a city park through which the Virginia Capital Trail runs. Supporters of this project include: MWV, Dominion, The Mary Morton Parsons Foundation, The Robert G. Cabell II and Maude Morgan Cabell Foundation, Capital Trees, CSX Corporation, Luck Companies, Richmond Historic Riverfront Foundation and others. The Richmond Trailhead is just one component of the Virginia Capital Trail, which will extend approximately 53 miles from Richmond to Jamestown upon completion in 2015. A half-mile of trail is currently open in downtown Richmond adjoining the new Great Shiplock Park Trailhead, and there are 7.5- and 8-mile stretches of trail now in use in Charles City County and James City County, respectively. The remaining portions of the Virginia Capital Trail — the rest of the Richmond Riverfront, Varina, New Market Heights, and Sherwood Forest sections — are scheduled to open in phases, with the completed trail to open by fall 2015, in time for the UCI Road World Cycling Championships when hundreds of thousands of visitors will converge for two weeks in downtown Richmond. The Virginia Capital Trail Foundation (VCTF) is a nonprofit, 501 (c)(3) organization, and is the principal advocate for the completion and enhancement of the Virginia Capital Trail, a 53-mile dedicated multi-use trail connecting Richmond and Williamsburg along the historic and beautiful Route 5 corridor. To develop the trail as a world-class attraction, the Foundation raises money to promote it within the region, the state, and the nation through partnerships and larger trail affiliations. The VCTF is also charged with enhancing the trail by installing signs, trailheads, benches, and other amenities to make the trail experience safe, educational, and—most importantly—unforgettable. www.virginiacapitaltrail.org. The City’s Department of Economic & Community Development received a Gold Excellence in Economic Development Award for its 2012 brochure in the category of Specific Purpose Brochure for communities with populations of 200,000- 500,000 from the International Economic Development Council (IEDC). The honor was presented at an awards ceremony on Tuesday, October 8, during the IEDC Annual Conference, which was held October 6-9, in Philadelphia. Richmond’s Commercial Corridor Snapshot booklet gives detailed descriptions and demographic statistics on ten commercial corridors within the city. In addition, each page includes quotes from businesses located in the neighborhood, walking scores, images, maps, and bullet points on top assets of each of the areas. The booklet is of value to companies interested in learning about the different areas of the city in which they could locate. “Our city has many outstanding advantages accompanied with a rich and diverse community throughout our neighborhoods and corridors. The City’s Department of Economic and Community Development has done a tremendous job of showcasing this information for potential businesses and residents alike in their print publications and on http://www.yesrichmondva.com/,” said Mayor Dwight C. Jones. The International Economic Development Council (IEDC) is a non-profit membership organization serving economic developers. With more than 4,000 members, IEDC is the largest organization of its kind. Economic developers promote economic well-being and quality of life for their communities, by creating, retaining and expanding jobs that facilitate growth, enhance wealth and provide a stable tax base. From public to private, rural to urban, and local to international, IEDC’s members are engaged in the full range of economic development experience. Given the breadth of economic development work, our members are employed in a wide variety of settings including local, state, provincial and federal governments, public private partnerships, chambers of commerce, universities and a variety of other institutions. When we succeed, our members create high-quality jobs, develop vibrant communities, and improve the quality of life in their regions. http://www.iedconline.org/. The City of Richmond has been selected by the National League of Cities (NLC) to receive technical assistance as part of a national initiative to increase the likelihood that city children will achieve educational success demonstrated by reading at grade level by the end of 3rd grade. Researchers, practitioners and policymakers increasingly believe that a more seamless educational pipeline that addresses a range of academic, behavioral, health and family issues could serve young children more effectively. Through the Municipal Leadership to Promote Educational Alignment for Young Children initiative, Richmond will receive practical guidance as it takes steps to implement and improve educational alignment from PreK to 3rd grade. NLC will provide cities with customized assistance, access to best practices and national experts, and opportunities for peer learning as they develop or enhance a plan for educational alignment and work with stakeholders from across the community. Emphasis will be placed on collaboration among city agencies, school districts and PreK organizations. “I am extremely pleased that Richmond was selected by the National League of Cities to participate in the Municipal Leadership to Promote Educational Alignment for Young Children initiative as I believe our city can benefit immensely and the NLC can benefit from the work we have done here in Richmond,” said Mayor Dwight C. Jones. In August, Mayor Jones announced that the Mayor’s Anti-Poverty Commission would continue its work as the Maggie L. Walker Initiative for Expanding Opportunity and Fighting Poverty. The Maggie Walker Initiative is comprised of seven task forces to include the Early Childhood Education and Parental Engagement task force and the task force addressing Adolescent Transitions. These two task forces are already in place and will directly benefit from the technical assistance offered through the NLC Educational Alignment initiative. NLC’s Institute for Youth, Education and Families is coordinating the six city initiative, which will run through December 2014. The project is supported by the W.K. Kellogg Foundation with help from the Annie E. Casey Foundation. Other cities selected to receive assistance through the initiative are Austin, TX; Fort Worth, TX; Hartford, CT; Longmont, CO; and Rochester, NY. The W.K. Kellogg Foundation (WKKF), founded in 1930 as an independent, private foundation by breakfast cereal pioneer, Will Keith Kellogg, is among the largest philanthropic foundations in the United States. Guided by the belief that all children should have an equal opportunity to thrive, WKKF works with communities to create conditions where vulnerable children can realize their full potential in school, work and life. Block 1: enhancing the existing median on W. Broad St. from Belvidere to Henry Streets by adding mulch and 130 perennials that will provide seasonal interest. Blocks 2-5: adding 28 (3’ x 3’ x 3’) planters to the concrete medians on W. Broad St. from Henry St. to Adams Sts. The planters provide seasonal interest and will be filled with shrubs (thrillers), perennials (fillers) and a few annuals (spillers). A total of 218 plants will be planted. Blocks 6-8: enhancing the existing narrow raised medians on Broad St. from Adams St. to 2nd St., also known as the “Mohawks,” by adding 276 perennials that offer seasonal interest. Blocks 9-11: adding 21 (3’ x 3’ x 3’) planters to the concrete medians on E. Broad St. from 8th St. to 11th St. The planters provide seasonal interest and will be filled with shrubs (thrillers), perennials (fillers) and a few annuals (spillers). A total of 135 plants will be planted. Block 12: enhancing the 13 raised tree wells in the 400 Block of E Grace St. by removing the existing ivy and azaleas and replacing them with 100 shrubs, perennials and mulch. Block 13: enhancing the existing CDA parking lot landscaping by filling in with 400 shrubs and perennials. Venture Richmond will be adding seven 3’ x 3’ x 3’ planters on each concrete median in Blocks 2-5 and 9-11; a total of 7 blocks. The planters are a matte black with clean modern lines. The planters will not be permanently affixed to the medians; they will be placed on four 1” high blocks, which will raise the planters up enough that a fork lift can move them if needed. The development and approval of this plan involved collaborating with multiple City departments (DPR, DPW, DPU, etc.) and Venture Richmond followed standard City policies for permitting. Venture Richmond is also working in partnership with the City Arborist to prune the trees in the beautification areas. The Richmond Tree Stewards will be pruning Crape Myrtles in the W. Broad St. median between Belvidere and Henry Streets and Venture Richmond has hired Arborscapes to prune the tree in the 400 block of East Grace and the Lone Oak at Broad and Adams Streets. Venture Richmond has hired The Kleane Kare Team, Inc., who is partnering with Snead Associates, P. C., both minority-owned companies, to provide ongoing maintenance and watering, as well as to be responsible for replacing any damaged plants and/or planters. Venture Richmond will reserve funding for replacement plants and keep some extra planters in reserve in case any are damaged. “The Venture Richmond Beautification Project aligns perfectly with my continued commitment to the enhancement of our environment” said Sharon Dabney-Wooldridge, CEO, The Kleane Kare Team, Inc.
“We are very excited about our partnership with Kleane Kare and their partnership with CARITAS and The Healing Place” said Mr. Berry. “They will hire people in the Recovery Program, who have been homeless due to their addictions, and who are working part-time as part of their reintroduction into the workforce.” Kleane Kare’s experience with these employees is excellent. This contract will provide an opportunity to train them in another set of skills, landscape maintenance. “This is a major new initiative for Venture Richmond that will change the face of Broad St. and hopefully be a catalyst for additional “botanical makeovers” on W. Broad St. and the interstate gateways”, says Ms. Meade. Venture Richmond is investing over $100,000 in the beautification of the Arts District, which has been dramatically leveraged by the numerous partnerships and the willingness of the suppliers to sell us the products at wholesale prices. Venture Richmond is funding the project and the ongoing maintenance with Downtown Assessment District funding. Under the Patient Protection and Affordable Care Act, city residents now have access to the Federal Health Insurance Marketplace to purchase health insurance. City residents who are already covered by Medicaid or the Family Access to Medical Insurance Security programs will remain on those programs. The Patient Protection and Affordable Care Act does not affect eligibility or enrollment for Medicare beneficiaries. Effective immediately, Richmond residents are now able to file applications for Medicaid in several different methods with no interview or office visit required. For many applications, verification will be provided electronically via the new federal Data Hub. Verification from applicants can also be provided by mail, fax, e-mailed scans, or in person. · Applications for subsidized health insurance can be filed on-line via the Federal Health Insurance Marketplace at www.healthcare.gov or by calling 1-800-318-2596. These applicants will also be evaluated for Medicaid eligibility. · Medicaid applications for children, parents or caretakers with children and pregnant women can be filed by phone using the new CoverVa Call Center at 1-855-242-8282. The entire application process can be completed during the call. · Medicaid applications can also be filed at www.CommonHelp.Virginia.gov. Residents may use computers from any location, including any office of the Richmond Department of Social Services (DSS); 900 East Marshall Street, 4100 Hull Street Road, and 701 North 25th Street; or at MCV Hospital, Chippenham Hospital, Richmond Behavioral Health Authority, and Richmond Public Libraries. · Paper applications are available at any DSS location. City residents can call (804) 646-7212 or visit a DSS office to get information on how to file paper applications and for information on using the new electronic and telephonic methods for filing applications. For more information, please review the attached documents or visit the websites listed below. The Atlantic 10 Conference announced Thursday it has entered a three-year partnership with the City of Richmond to bring the A-10 Women’s BasketballChampionship to the Richmond Coliseum beginning in 2014. The announcement was made at a joint press conference held at the Richmond Downtown Marriott. The 2014 13-team event will take place at the Richmond Coliseum March 5-9. The championship will open with a play-in game on Wednesday the fifth, followed by four first-round games on Thursday. The four quarterfinal games will tip-off Friday morning followed by the semifinal round on Saturday which will be televised live nationally on CBS Sports Network. The finals will air live on ESPNU beginning at 11:00 a.m. on Sunday. When the championship tips off in Richmond, it will mark just the third time in its 32-year history that it will take place at a neutral site. Tsongas Arena in Lowell, Mass., played host in 2011, while Showplace Arena in Upper Marlboro, Md., served as host in 2010. The Atlantic 10 is one of only eight conferences (out of 31 league) where the women’s basketball championship will be played at a neutral site, separate from the men’s championship. The Atlantic 10, one of the premier women’s basketball leagues in the country, has seen at least 50 percent of its membership participate in postseason play in four the last five seasons. The A-10 has earned three NCAA Tournament bids in six of the last nine years and 17 times overall. The league has also had at least seven of its teams advance to postseason play in each of the last five years. The City’s Department of Parks, Recreation and Community Facilities worked with SMG Richmond to pursue the event for the Richmond Coliseum. SMG Richmond manages Richmond’s Landmark Theater, Carpenter Theatre at Richmond CenterStage and the Richmond Coliseum for the City of Richmond. The Richmond Coliseum has offered quality entertainment to the Richmond Metropolitan area for over 40 years. The Coliseum averages 130 events annually with an average annual attendance of over 600,000 patrons The Richmond Coliseum seats nearly 12,000 for basketball and has extensive experience in hosting college conference championships. There have been three other leagues that have held their postseason tournaments at the Coliseum. The Coliseum also hosted the 1994 NCAA Women’s Final Four. Last season, the first three rounds of the A-10 Championship took place at Michael J. Hagen Arena ‘85 on the campus of Saint Joseph’s before heading to Barclays Center in Brooklyn, New York where a finals record crowd of 4,436 saw SJU top Fordham 47-46 to earn its first A-10 title since 1999. The A-10 Championship game was the first women’s basketball championship game played in Barclays Center and the first Atlantic 10 women’s basketball championship game played in an NBA arena. Following the success in Brooklyn, seven Atlantic 10 teams earned 2013 postseason berths. Dayton and Saint Joseph’s represented the Atlantic 10 in the 2013 NCAA Tournament. Five A-10 teams were also selected to take part in the 2013 WNIT. Dayton defeated St. John’s in the first-round of the NCAA Tournament to advance to the second round. At the conclusion of the season, the A-10 ranked ninth out of 32 Division I conferences in the final RPI rankings. Dayton paced the league, coming in 17th among the nation’s top teams, while four additional teams were ranked among the top 100. The Atlantic 10 Conference was formed in 1976 and consists of 13 diverse members across seven states and Washington, D.C. The membership consists of University of Dayton, Duquesne University, Fordham University, George Mason University, The George Washington University, La Salle University, the University of Massachusetts, the University of Rhode Island, University Richmond St. Bonaventure University, Saint Joseph’s University, Saint Louis University and Virginia Commonwealth University. The mission and goal of the Atlantic 10 is to provide an enhanced student-athlete experience through 21 nationally competitive championship sports, while securing strong brand, equity, and revenue resources for its member institutions. The conference is committed to integrity, educational excellence and providing quality equitable championship experiences for more than 6,000 student-athletes, coaches, and support staff. The city of Richmond is the capital of Virginia and is one of the most historic cities in America. Richmond is centrally located along the East Coast, easy to access, offers extensive lodging and tourist attractions and is a strong supporter of athletic and cultural events. Richmond’s complete livability can be measured in numerous ways including its beautiful neighborhoods with striking architecture; a vast cultural and educational heritage befitting its more than 200,000 citizens, and noted historic prestige tracing back to the early English settlers. Nationally recognized for its vitality and New Economy embrace, Richmond's diversified employment base extends from chemical, food and tobacco manufacturing to biotechnology, semiconductors and high-tech fibers. The city consistently ranks among "Best Places to Live and Work in America" in several national publications. SMG Richmond manages Richmond’s Landmark Theater, Carpenter Theatre at Richmond CenterStage and the Richmond Coliseum. Since 1977, SMG has provided management services to more than 220 public assembly facilities worldwide, including arenas, stadiums, theatres and performing arts centers, equestrian facilities, convention, congress and exhibition centers, science centers, and a variety of other venues. Across the globe, SMG manages more than 12 million square feet (1.1 million square meters) of exhibition space and more than 1.5 million arena and theatre seats. As the recognized global industry leader, SMG provides venue management, sales, marketing, event booking and programming, construction and design consulting, and pre-opening services. SMG also offers food and beverage operations through its concessions and catering company SAVOR, currently serving more than 83 accounts worldwide. Officials with the City of Richmond and Clayco today celebrated the construction of Gateway Plaza, Richmond’s newest high-rise office building, during the groundbreaking ceremony for the project’s site in the heart of the downtown business district. “Gateway Plaza is becoming a reality. Its creation is cause for celebration by the City of Richmond, the area’s business community, the lead tenant McGuireWoods and Clayco. It represents an incredible commitment to the city by McGuireWoods, and we appreciate the confidence everyone has shown in Clayco. Gateway Plaza also offers a superb combination of the highest quality materials, technology and construction techniques to create a truly Class A business setting that is efficient, convenient, environmentally-sensitive and geared to the needs of 21st century organizations,” said Bob Clark, chairman and chief executive officer of Clayco. Richmond Mayor Dwight C. Jones noted that Gateway Plaza brings new opportunities to the City. “Gateway Plaza will be an attractive addition to the Richmond skyline and will offer significant benefits to the City of Richmond. Economic studies show that this project will generate 812 construction jobs with more than $50.7 million in wages; another 1,653 jobs, including retaining more than 630 at McGuireWoods; and new cumulative tax revenues for the City are estimated to be more than $117 million over the next 30 years,” the mayor said. Gateway Plaza will be located on property bounded by 8th and 9th streets on the east and west, and Canal Street on the south. The 18-story building will have 315,000 square feet of office space, more than 14,000 square feet of first-floor retail space and a 506 space parking garage. The structure represents a combined investment of more than $110 million. The formal groundbreaking ceremony commemorates finalizing the city’s economic development plan for the project and closing on the financing provided by an affiliate of New York-based Lexington Realty Trust. Construction work on Gateway Plaza already has begun. Recently, the 8th Street Connector, which bisected the site, was closed. Street improvements, which are well underway, continue with completion slated in several weeks. Construction crews are installing the building’s drilled caisson foundation support system to be followed by work in the immediate future that includes constructing the concrete frame structure that will span the first six levels of the structure, underground systems installation and utility construction. Anchor tenant McGuireWoods LLP has signed a lease to occupy 217,000 square feet of the structure’s office space, including a first floor office and a state-of-the-art conference center on the top floor. Occupancy by McGuireWoods, with more than 630 attorneys, staff and consultants, should occur in 2015. The firm now is in the James Center, located on East Cary Street in the block adjacent to the Gateway Plaza site. Colliers International is the leasing agent for the project and represented McGuireWoods in its search for a new office. Colliers now is engaged in discussions with other companies interested in moving to Gateway Plaza. Gateway Plaza will set a new standard for office buildings in Richmond. The stunning all-glass tower and distinctive crown will set Gateway Plaza apart from every other building in the city. This sophisticated state-of-the-art building will incorporate the newest technologies and environmental sustainability in a way that will enhance the downtown central business district and should achieve at least a LEED Gold certification based on Leadership in Energy and Environmental Design criteria. Celebrating the groundbreaking and actually beginning to build this exciting development project is the best part. With the project underway, Clayco very quickly will complete construction on a very fast schedule. The top piece of steel will be set by July 2014. The building will be substantially complete by the end of 2014, and McGuireWoods will move in by the summer of 2015. Clayco is a full service, turnkey real estate development, architecture, engineering and construction firm that delivers clients around the world the highest quality solutions on time, on budget and above and beyond expectations. With revenue in 2012 of $872 million, Clayco specializes in “the art and science of building,” providing fast-track, turnkey solutions globally for commercial, institutional, industrial and heavy civil infrastructure related building projects. For more information, visit www.claycorp.com. McGuireWoods LLP is an international law firm with more than 900 attorneys in 19 offices throughout the world. For more information, please visit www.mcguirewoods.com. Colliers International is the third-largest commercial real estate services company in the world, with over 12,300 professionals operating out of more than 520 offices in 62 countries. Learn more about Gateway Plaza online at -- http://www.gatewayplazarichmond.com/.